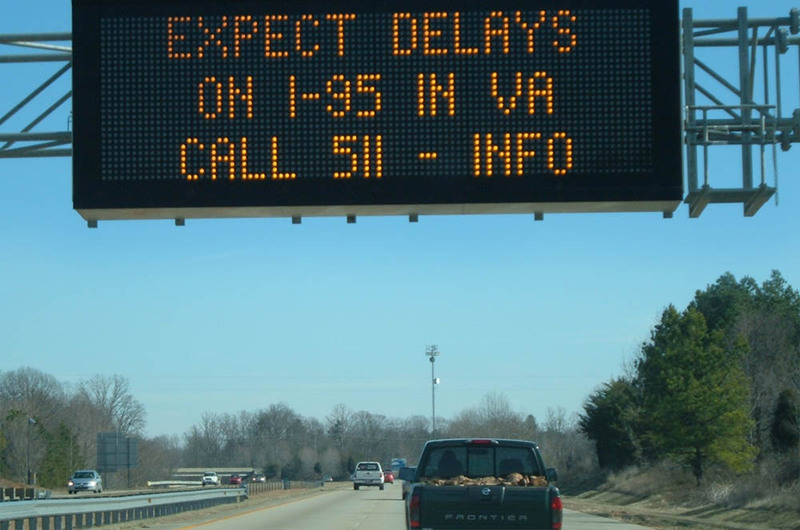 Driving down I-40 between Winston-Salem and Kernersville today, I saw this electronic message warning me about potential inauguration traffic next Tuesday. These signs were repeated all the way to Durham, at least. This is sort of like driving on the 101 in San Francisco and being warned repeatedly about a potential upcoming traffic jam on Highway 99 in Bakersfield.